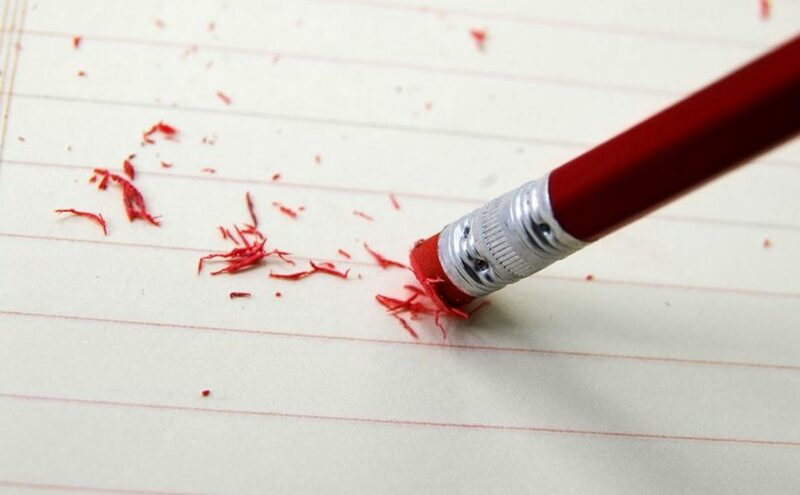 To see an eraser in a dream denotes that you will wipe the slate clean, put an end to resentments and make peace. To rub off in your dream means that if the thing rubbed off is a wood, you will be successful and start a new process hopefully. If the thing rubbed off is another commodity, resentment with a person from your family will come to an end. To see eraser dust in your dream refers to evil eyes in your environment, the existence of bad people. To see of eating an eraser in your dream may indicate that you hide your light under a bushel, prevent big resentments by taking the line of least resistance. To see of buying an eraser in your dream refers to advices which will be heard and close friends. To see of selling an eraser in your dream means that you will give spiritual support and bear a hand. To see a pencil with an eraser in your dream refers to relationship and cooperation. If you use this pencil in your dream, it indicates that you are a resistant person, have a strong character in terms of morality. To steal an eraser in a dream refers to a short term upset. To see that an eraser is lost in your dream refers to resentment within your school, job or home environment. To give an eraser as a gift in your dream refers to the beginning of a sincere friendship or close friendship will strengthen or mutual trust will enhance.